On April 20th, the Wisconsin Supreme Court may consider, in open conference, a petition submitted three months ago, in January, 54 retired judges – including two former Wisconsin Supreme Court Justices – unveiled a strong proposal that would establish reasonable thresholds for recusal for elected municipal court judges, circuit court judges, state court of appeals judges and state supreme court justices in cases where they received campaign contributions from a defendant or plaintiff appearing before them. The full petition from the retired jurists is here. Wisconsinites would be surprised to know that our state is considered among the four worst states in the nation with regard to recusal standards for campaign contributions. In fact we have none – and the current state recusal "standard" was written by Wisconsin Manufacturers & Commerce, one of the state's most powerful special interest groups that has spent millions of dollars over the years to elect conservative state supreme court justices. It was adopted verbatim by a 4 to 3 vote, seven years ago. On behalf of the State Governing Board and the more than 12,000 members and activists of Common Cause in Wisconsin, we respectfully request that the Wisconsin Supreme Court consider and adopt Rule Petition 17-01 on recusal, submitted to you in January by 54 retired jurists, including two former members of the Wisconsin Supreme Court. Rule Petition 17-01 requests that the Court amend the Code of Judicial Conduct to establish an objective standard for requiring recusal or disqualification of a municipal court judge, circuit court judge, state court of appeals judge, or a Wisconsin Supreme Court Justice who has received campaign contributions from a party or lawyer. It further supports amending the Wisconsin Constitution so that the Supreme Court can maintain a quorum in the event of such a recusal, as lower courts routinely do now. We believe that a failure to adopt sensible, reasonable recusal rules, such as those laid out in Rule Petition 17-01, put the integrity and reputation of all Wisconsin Courts at greater risk than they suffer currently, resulting in the further erosion of public confidence in the impartiality and fairness of judges at all levels and, in particular in the Wisconsin Supreme Court. Public opinion polling in Wisconsin over the last half decade suggests that the public’s respect for the judiciary has never been lower. The problem stems, in part, to the failure in 2009 of a majority of this Court to adopt a proposal, put forth by Justice N. Patrick Crooks, to require recusal if a justice had received substantial election support from one of the parties in the case. This error was compounded in 2010 by the adoption by a majority of the Court of essentially, a non-recusal rule written and accepted, apparently verbatim, from two of the state’s largest business organizations, Wisconsin Manufacturers and Commerce and the Wisconsin Realtors Association. As a result of these two actions and because of the failure of the Wisconsin Supreme Court to adopt a strong recusal rule at the explicit invitation of the Supreme Court of the United States in the wake of its landmark 2009 Caperton v. A.T. Massey Coal Company decision, our state currently ranks 47th of the 50 states in terms of the strength of its recusal rules according to a survey cited by the retired Wisconsin jurists in Rule Petition 17-01. That is simply shocking and unacceptable. 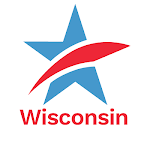 Further, strong recusal rules are even more necessary in the aftermath of the Court’s 2015 decision to strike down Wisconsin law that had prohibited campaign coordination between candidate campaigns with outside special interest groups who spend vast sums of money engaging in non-express advocacy or phony issue advocacy, with a clear intent to influence the outcome of elections. 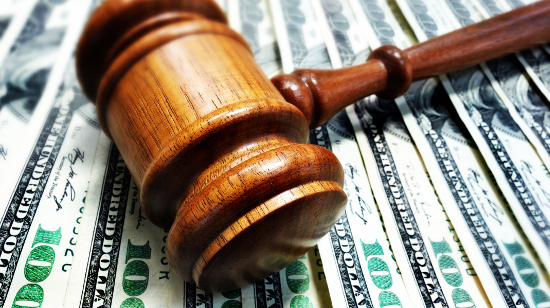 This controversial decision exceeded even the 2010 U.S. Supreme Court Citizens United v. F.E.C. decision in allowing coordination between so-called issue ad groups and candidates. Citizens United prohibited this type of coordination. The fact that the four Wisconsin Supreme Court Justices who voted in 2015 to decriminalize this kind of coordination, had themselves been supported by one or more of the organizations engaging in that coordination during the 2011-2011 recall elections, further underscores the urgent need for strong recusal standards and rules. The most recent contested Wisconsin Supreme Court election in 2016 further illustrates the growing need for recusal rules. According to the Brennan Center for Justice, “issue ad” groups spent more than $2.25 million attempting to influence the outcome of the election while the two candidates themselves spent a combined total of $777,440 – about one third as much as the outside spending. And yet one of those outside groups could conceivably appear as a party to a case that came before the Court and the justice who benefited by the election spending of that group would not be required to recuse herself under current law. That is simply a standard that invites even deeper cynicism and distrust on the part of citizens of all political and philosophical persuasions in the ability of this state’s highest court to be able to render justice fairly and impartially. You, and the other six justices of the Wisconsin Supreme Court have it within your power to restore a modicum of citizen confidence and trust in not only the state’s highest court, but in state courts of all levels by adopting the thresholds recommended by the distinguished group of 54 retired jurists in Rule Petition 17-01. We respectfully urge that you seize this opportunity to do so. Wisconsin Supreme Court Should Adopt Strong Recusal Rule Proposed by Former JuristsTweet this!